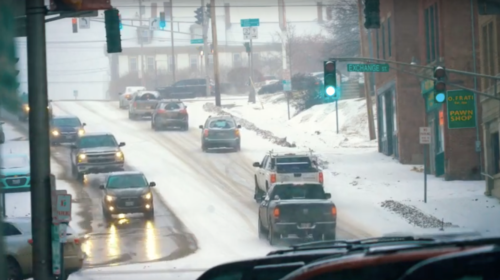 Whether it’s rain, wind, sleet, or snow, drivers must be prepared to face the hazards winter driving brings. Please follow these safe driving tips to reduce your chance of an accident. Reduce your speed and allow for extra time to stop on slick or snow covered roads. Turn on your vehicle’s headlights on increase visibility to other motorists. Keep your windshield, headlights and brake lights clear of ice and snow. Clear any excess ice and snow from the roof of your vehicle before driving. Be careful on bridges and overpasses as they tend to freeze before the rest of the roadway. Do not assume your vehicle can handle all conditions. 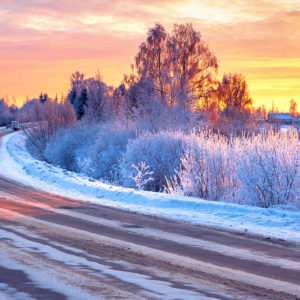 Even four-wheel and front-wheel drive cars and trucks can encounter trouble on winter roads. Allow for plenty of time to reach your destination. Along with hazardous roads, safe traveling speeds may be lowered as well.